Our product range includes a wide range of servo amplifiers and mitsubishi servo amplifiers. The MR-J3 generation of servo drives delivers state-of-the-art technology and simple operation in a very compact package. Functions like the advanced vibration suppression system and the further improved real-time autotuning ensure maximum precision, very short positioning times and simple installation. The amplifiers are a full 40% slimmer compared to previous series. The MR-J3 series is available in three versions: The MR-J3-A models are suitable for drive systems with conventional control and are designed for regulating speed, torque and position control tasks. 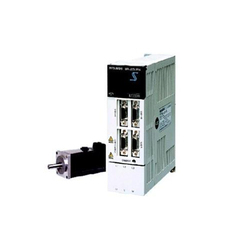 The MR-J3-A servo models are also available with an EtherCAT option. The MR-J3-B models are specified for complex, multi-axis movement sequences and for use in networked automation systems. A servo amplifier with built-in positioning (MR-J3-T) is also available. 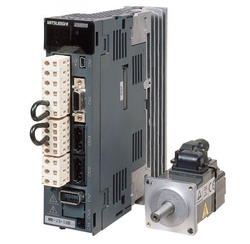 The units configure themselves by Plug & Play for Mitsubishi Electric's Motion Control and positioning control systems, to which they are connected via the high-speed optical SSCNET III network, which has a cycle period of just 0.44 milliseconds. The MR-J3 is currently available with outputs from 50W to 55kW. Units with higher outputs are being added to the range at regular intervals. We offer Mitsubishi Servo Amplifiers to our clients.